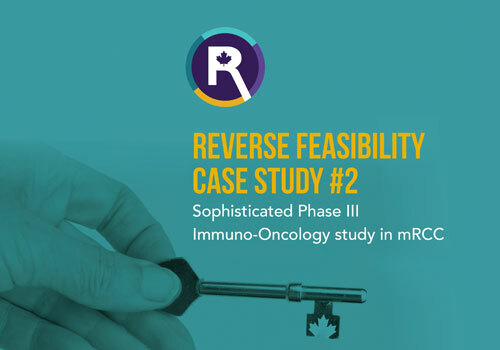 The Reverse Feasibility Program connects a collaborative network of Canada’s top performing investigative sites with phase I through III oncology drug developers. Our sites routinely share their academic interests and clinical trial needs with us to ensure the placement of pertinent novel cancer clinical trials. For drug developers, the program serves as a real-time notification system that conducts a Canada-wide scan, alerting oncology drug developers to recruitment opportunities as well as competitive roadblocks. This gives you an immediate and accurate assessment of Canada’s enrollment potential. For Canadian sites it serves as the link to cutting-edge oncology clinical trials that may potentially extend the lives of their patients while allowing them to contribute to the development of new treatment options. 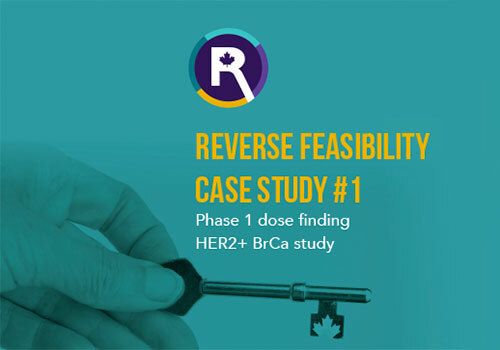 What Can Reverse Feasibility Do For You ? Improving study cycle times by 3 months can translate into nearly $18 million in direct cost savings. Participation rates among cancer patients at leading Canadian centers are 14% vs. 1-5% in the USA. Dedicated oncology experience delivers pertinent, high-quality data in less time and with fewer study deviations. The Scimega Network Champions award celebrates the achievements of leading oncology investigative professionals who have devoted their time, talent and resources to promoting Canada’s oncology clinical research capabilities in an effort to improve care for the many patients and families affected by cancer. Biotech with a promising compound but a highly complex protocol design faced a scarcity of comparator arm naïve patients in the U.S. This global trial had been ongoing for 14 months and enrollment was slow due to logistical complexities of tumor sample collection & analysis. This trial had been ongoing for 7 months at 13 sites in the U.S. The sponsor faced a scarcity of drug naïve subjects as the comparator arm was in wide use. 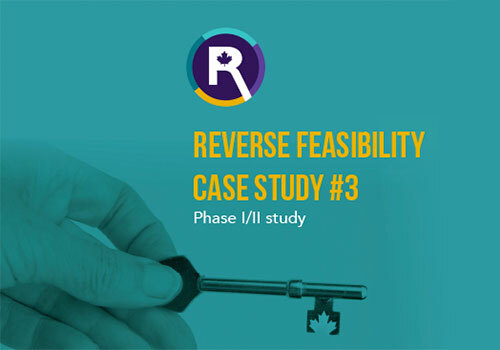 See how the Reverse Feasibility Program can work for you.